Jo Radley runs a full-time clinic in Staverton, Northamptonshire. Her own journey with health has been a difficult one, and it is through her quest for her own healing and a desire to help others that she has completed over 6 years full time training and many short courses. This journey has helped her to develop both a solid knowledge base, experience the treatments she offers and develop highly intuitive skills. Many people have said she offers a unique insight into their problems and her work is a true “calling” rather than just a job. Jo initially trained in Reiki in 1990. Since then, she has gone on to do the two-year Professional Healing Diploma Course through the College of Healing, plus many advanced training days. 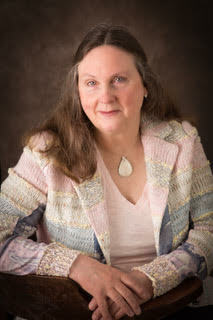 She has worked in COH Advanced and Negative Energy Healing Groups since 2004. She also trained in Marconics Healing (Level 4) in 2018. She also holds a BA Hons. Degree in Traditional Acupuncture, and is qualified in Structural Integration, N.L.P. and Low-Level Laser Therapy and has completed many years of advanced study.